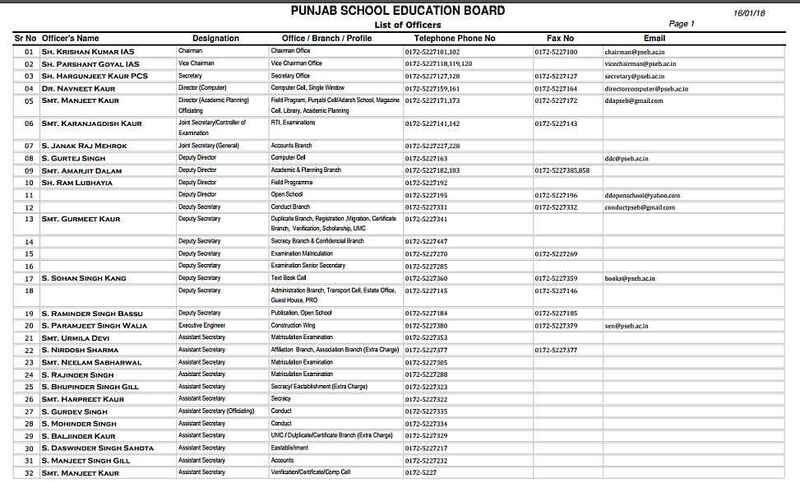 Can you provide me the contact address and Email ID of Punjab School Education Board? Also list me the names of Officers of Punjab School Education Board? The Punjab School Education Board came into existence through a legislative depiction in 1969 for the development and promotion of school education in the state of Punjab. The scope of its functions is very wide and covers almost every aspect/stage of school education.